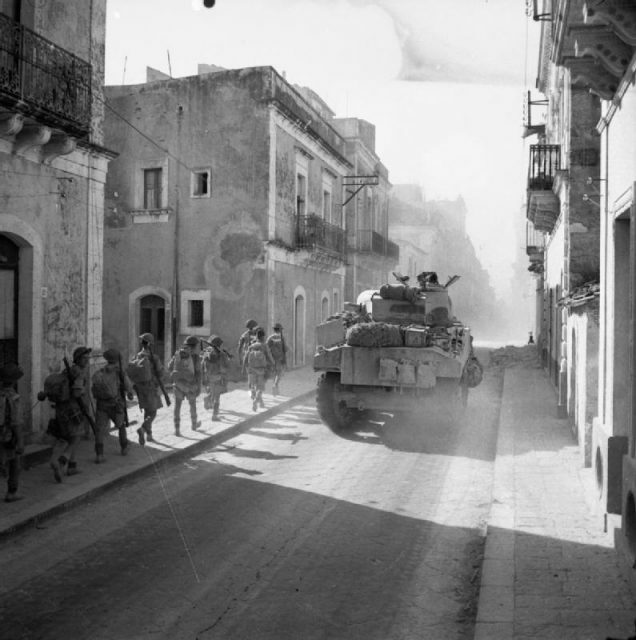 The importance and the drama of the Sicilian campaign of 1943 has been largely overshadowed by events from the years that followed, but it is important to appraise an invasion that saw British and American airborne elements used in support of ground forces in a fight against a mixed bag of German and Italian units. The campaign itself is remembered more for the burgeoning rivalry between Patton and Montgomery at a time when the former was embroiled in controversy over slapping men suffering from shell shock. 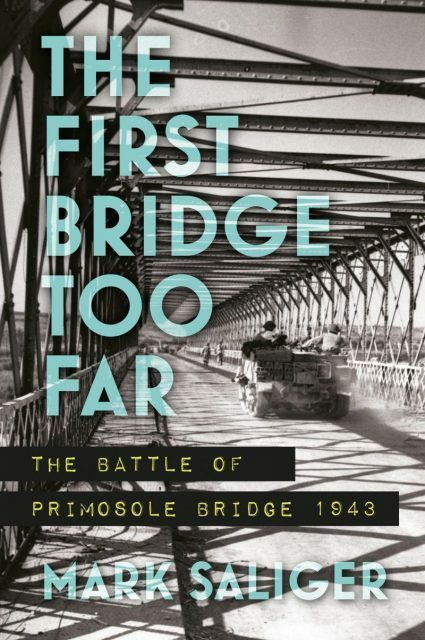 Thankfully, this book from Mark Saliger only touches on these issues as he gets on with describing the battle for the Primosole Bridge where British and German airborne forces were dropped in to secure the vital river crossing. The author is correct to describe the events that followed as being pretty special in terms of an encounter between elite units but he doesn’t shy away from the logistical and delivery problems that impacted on both sides. This story would make a fantastic movie or TV drama. Sicily was a testing ground for allied airborne operations and things did not go well at all. 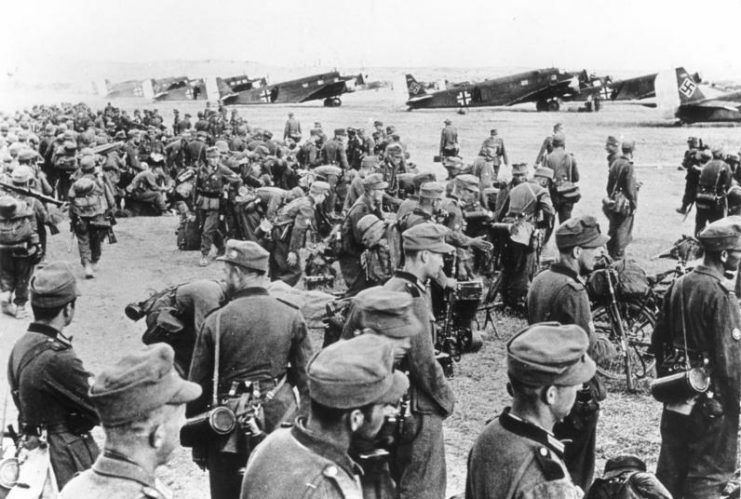 Gliders were released far off course, some way out at sea, and paratroopers were scattered far and wide. The failure to concentrate forces ruined the overall plan and led to the tragic deaths of a lot of good men. The consequences of this forced the British airborne who reached the Primosole Bridge to fight a battle with a considerably diminished force without a lot of essential equipment. The lessons of Sicily would be driven home for future engagements. 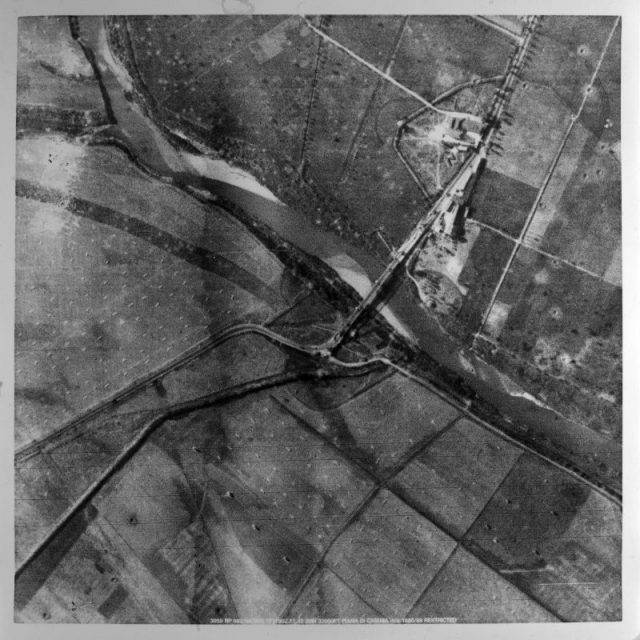 Aerial Photograph of Primosole Bridge. The author is a former paratrooper and there is something about soldiers writing about other soldiers that injects an element into a story that can come across as a tad opaque, like its something of a closed shop. But better writers than me remind us how soldiers have a strong eye for detail and this is the case here. Once boots are on the ground the author really gets into his stride and the story races along with gusto. Mr. Saliger’s respect for the men of his regiment is writ large across the manuscript. So it should be! Happily, he pays similar compliments to the Fallschirmjaeger, underlining why this is such a dependable book. The Germans were formidable combat veterans of campaigns in Crete and Russia but they were quick to appreciate the determination of their opponents While dressing the thing up as a clash of the titans would be crass it is fair to say that both sides fought with a deep almost brotherly respect for their enemies. The British airborne went into battle with one hand tied behind their back. They lacked numbers, weapons, ammunition, everything; but very new traditions were upheld to the max. The bridge and surrounding area was taken and held as long as possible before overwhelming odds turned the tide. 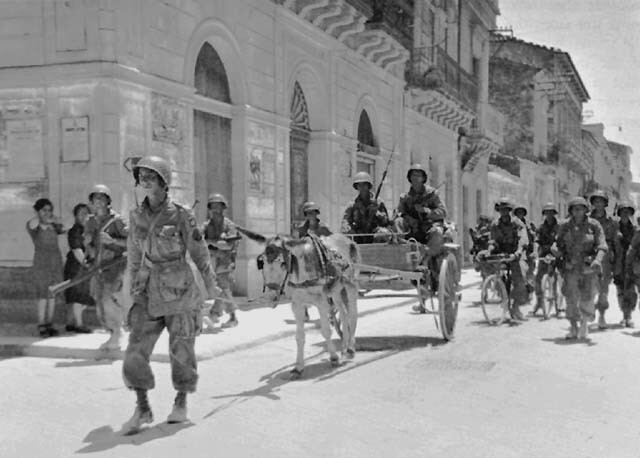 Unlike the disaster at Arnhem, this particular band of brothers were able to see land forces take the bridge and continue the fight for the island of Sicily. It was a notable success from a frustrating and costly campaign that should have served as a warning of what would follow on the Italian mainland. Many of the best-known characters of the Arnhem story make an appearance, and, as with other books devoted to Sicily (and earlier events in North Africa), I am always saddened to think so many brave men from this campaign would meet their end in the Netherlands just a year later. I went to Sicily a few years ago and it is a stunning place. I visited the British and Canadian cemeteries in several locations and went close to the site of the Primosole Bridge that is no longer with us thanks to a modern highway making it obsolete. Time marches on, but it is a shame that the bridge wasn’t kept for posterity. 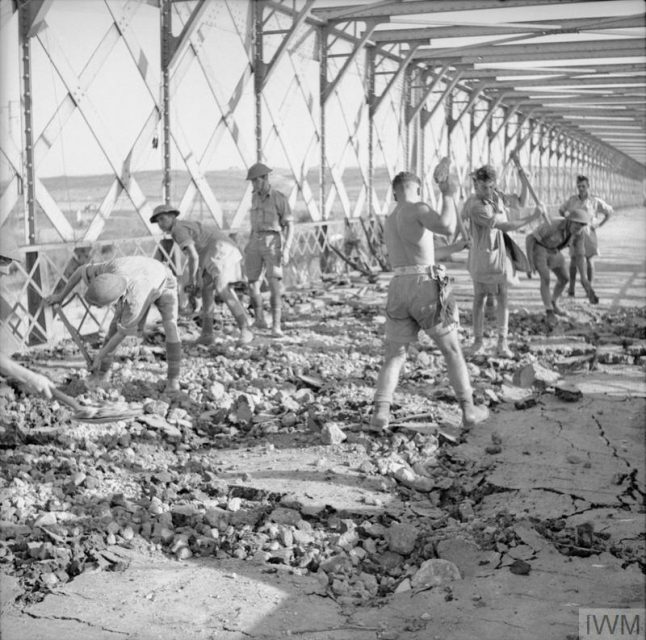 Royal Engineers repairing damage to the Primosole Bridge over the Simeto River after its capture. This book offers a fast paced read infused with the author’s enthusiasm for his regimental history and the men who pioneered airborne assault for the British Army. They were a tough and dependable bunch and a good number of them became legends in their own lifetime. I was really attracted to the Germans who dropped into Sicily to do a job regardless of the antipathy towards their craft evinced by Hitler et al. Mr. Saliger confirms that the British and German paratroopers were all giants in their own way and this respect is shown towards the US 82nd Airborne men whose involvement in Sicily is beyond the scope of the book. It’s all about the airborne brotherhood at the end of the day. 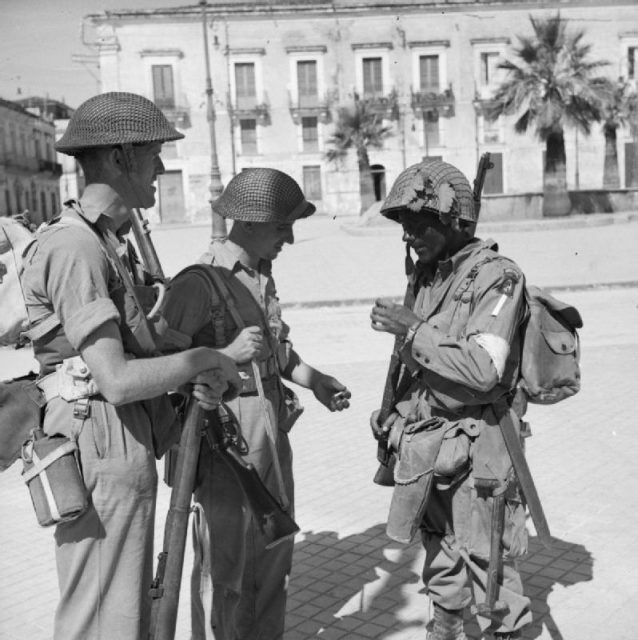 British troops of the 6th Battalion, Durham Light Infantry, part of the British 50th Division, with an American paratrooper of the 505th Parachute Infantry Regiment, part of the U.S. 82nd Airborne Division, in Avola, 11 July 1943. I once went spent a mad day working with a photographer who was making portraits of men of 3 Para at Colchester Garrison. His subjects were as tough and scary a group as I can remember and the photographer’s efforts to bring out their war faces added a dynamic you had to see for yourself because I can’t repeat some of the language they used here. You get the picture. The Regimental Colours were produced and they were treated with the utmost reverence. It was an impressive thing to witness. 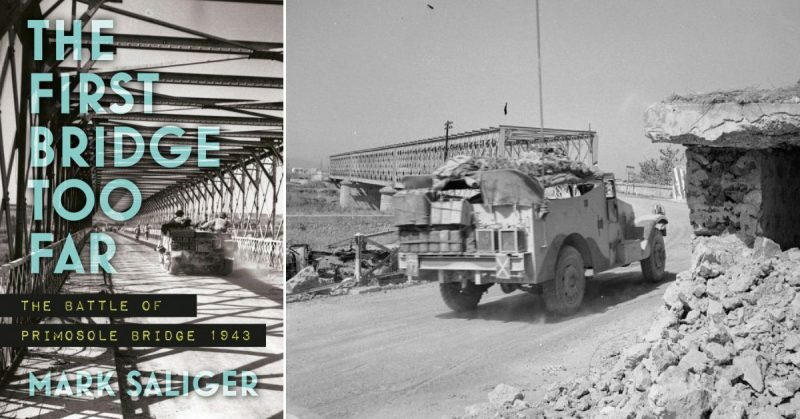 The ties that bind modern paratroopers with the men of World War II run right through Mr Saliger’s book like a stick of seaside rock. Airborne aficionados will love it. General history readers will find plenty in it for themselves and it all adds to greater appreciation of the men who lived to fight another day so they could jump into history at Arnhem a year later.